At the height of shade tobacco’s popularity in the first half of the 20th century, more than 16,000 acres of this premium cigar wrapper tobacco were under cultivation in Connecticut. The introduction of such a labor-intensive crop to Connecticut’s economy drew migrant labor from the South, the Caribbean, and even small towns in Pennsylvania. The search for a reliable labor source led to an ongoing relationship of more than 50 years between growers and a special group of Southern workers: students. For these young people, a summer away from their Southern homes was an opportunity to earn money for their education, enjoy freedom from parents, and get some relief from their segregated existence. Among the thousands of black Southern students who seasonally came north was a young Martin Luther King Jr. In an attempt to help farmers grow a more competitive product, the US Department of Agriculture began experimenting in Florida with tropical tobacco varieties. By 1899, W. C. Sturgis, a botanist in Connecticut, was successful in growing Sumatra tobacco from seed and reproducing the thinner leaf. Marcus Floyd, the USDA’s leading tobacco expert at the time and a Florida native, came to Connecticut to oversee the first crop of this experimental tobacco known as shade tobacco. The product proved equal to the imported leaf. The planters…promiscuously gathered up 200 girls of the worst type, who straightaway proceeded to demoralize Hartford. The blunder was speedily detected and the employers came back to New York seeking some agency which might assist them in the solution of their problem. The National Urban League introduced Floyd to Dr. John Hope, the first black president of Morehouse College in Atlanta, Georgia. Students from historically black colleges such as Morehouse were already accompanying their professors north to work seasonal service jobs at New England resorts. The transition to working shade tobacco provided more students with jobs that helped them pay their tuition and removed them, for a time, from the escalating racial tensions at home. 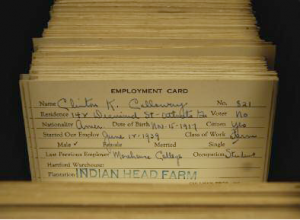 College students provided Connecticut growers with an English-speaking, educated work force. These students also appealed to employers because, accustomed as they were to the way blacks were treated in the South, they were not as likely as northerners or immigrants to agitate for better working conditions. Also, as temporary seasonal workers they would, theoretically, not have much impact on the communities in which they worked. Recruiters sought student workers from other schools, too. 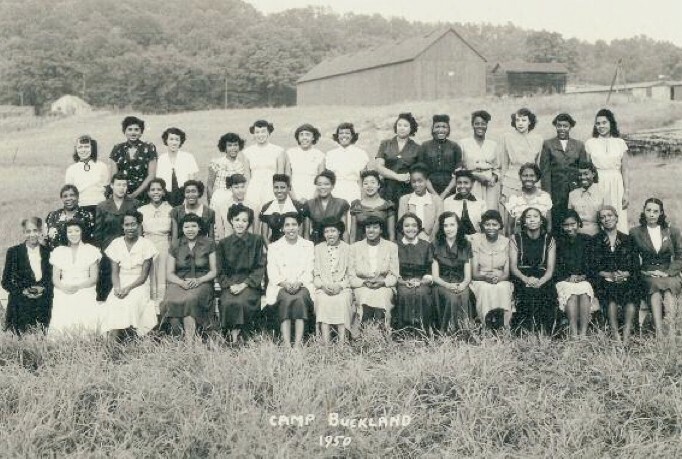 Students from Florida A&M, Morris Brown College (Atlanta, Georgia), Howard University (Washington, DC), Livingstone College (Salisbury, North Carolina), and Talladega College (Talladega, Alabama) also worked tobacco in Connecticut throughout the 1920s and ‘30s. While work in the fields was long and hard, efforts were made to provide residential students with religious and social opportunities. As a bonus, these also often served as good public relations for the tobacco companies. A rally in 1929 arranged by the Hartford YMCA at the AME Zion Church brought students from plantations in Tariffville, East Windsor Hill, Simsbury, Poquonock, and Windsor to meet Hartford residents. 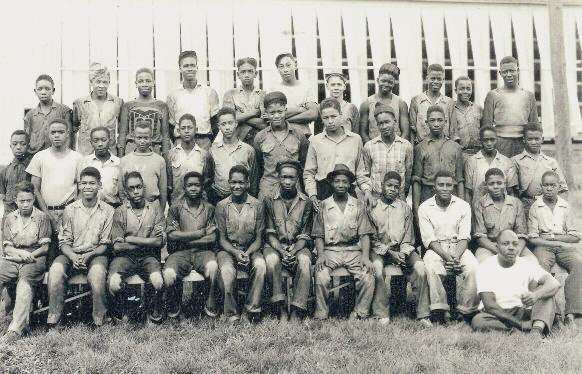 One student from Lynchburg, Virginia, recalled in 1952: “We were taken into Hartford on a company bus (looked like a school bus) and we parked down in what is now known as the Front Street section…my brother and I spent our time going to the movies,” wrote William S. Spencer, age 15. Other students remembered going to a shopping center. Camp managers also planned end-of-season trips to Riverside Park in Agawam, Massachusetts, to send students off on a positive note, in hopes that might benefit the next year’s recruitment effort. And it was most embarrassing, so when you got off the bus…we used to run all the way home because we didn’t want anybody to see us …once we got home at 5, it was still an hour to get clean before you could feel comfortable to sit at the kitchen table and eat your dinner. It was hard labor, you got paid almost nothing. But I almost felt like—as an African American person I didn’t have the opportunity of my classmates, who got summer jobs working at some of the retail stores or working at some of the factories…I knew that I had to get an education and have something that I could offer an employer to have a decent job, because just competing with my [white] classmates, I wasn’t getting anywhere. Seasonal hiring of students was always supplemented with other labor. Growers during World War II looked to Jamaica and the West Indies for help. After the war, Puerto Ricans came to the Hartford area. These groups agitated more strenuously for reform and fair labor practices than the students ever would. Child labor (employing children as young as eight), which became an increasing problem in the 1940s, was not addressed until Connecticut legislation finally passed in 1947 set 14 as the minimum age for farm labor. What Became of Former Workers? We now know that many of the students who came north for the summer went on to become prominent and successful individuals, Dr. Martin Luther King Jr. being the most noted example. 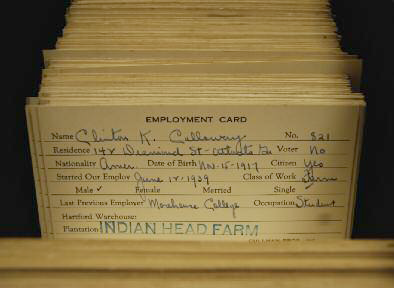 The Luddy-Taylor Tobacco Museum in Windsor holds hundreds of Morehouse employment cards from the Cullman Brothers in the 1930s. A brief search yields a cross-section of future teachers, doctors, lawyers, religious leaders, and other professionals, some of whom returned the North to establish their families. While not everyone cares to remember their time working tobacco, many people are now beginning to share their experiences. Since 2000, several reunions have been held in Amherst and Nelson counties in Virginia, where more than 2,000 former black high school recruits reconnected. In conversations, these former students have been quick to identify others, better known than they, who also came north to work in Connecticut. The young Arthur Ashe, Mahalia Jackson, Thurgood Marshall, and Hattie McDaniel were named among the thousands of students who, virtually unnoticed at the time, labored in the shade. © Connecticut Explored. All rights reserved. 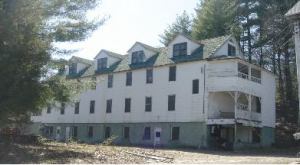 This article originally appeared in Connecticut Explored (formerly Hog River Journal ) Vol. 9/ No. 3, Summer 2011. Anderson, P. J. Tobacco Culture in Connecticut. New Haven, CT: Connecticut Agricultural Experiment Station, 1934. Link.